The students will study the various aspects of economics with a specific focus on its application in the United States. The curriculum includes major topics such as types of economic systems, macroeconomics, and microeconomics. Students will be given opportunities to analyze and evaluate these topics and how they relate to one another. Diverse instructional methods are used throughout this course including interactive presentations, DBQs, and research projects. Lessons are designed using a best practice model that includes scaffolding, vocabulary, guided practice, independent practice, and written response opportunities for students to synthesize, evaluate, and debate topics. New York Learning Standards and unit alignment were utilized in building this curriculum, as well as the Common Core Literacy Standards in the History/Social Studies, Science, and Technical Subjects. 1. evaluate the impact of public opinion in influencing and shaping economic policies. 2. examine the influence of social and political conditions upon economics. 3. examine the roles major institutions such as business, labor, banking, and government play in the competitive market structure. 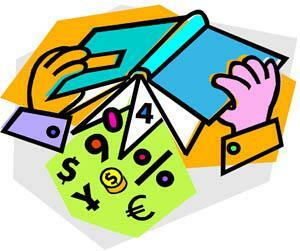 4. analyze economic systems, business organizations, and economic institutions. 5. will recognize that we now live in and compete in global society.